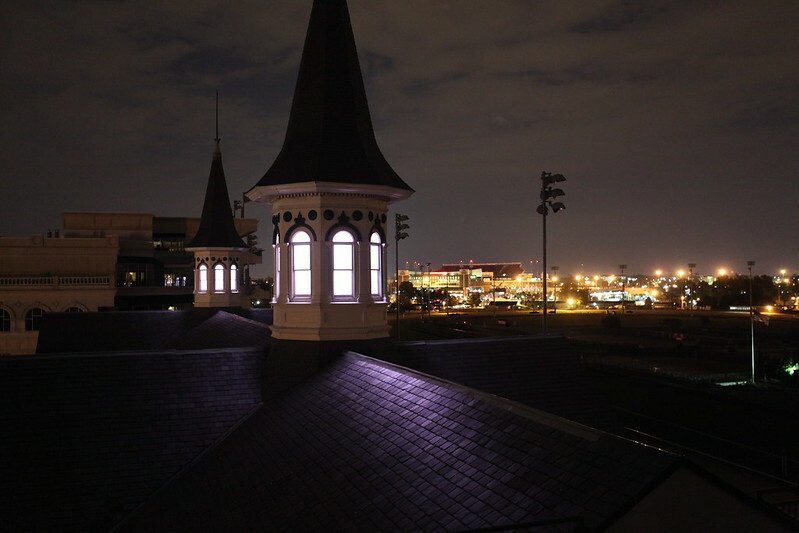 The Twilight Tour of Churchill Downs Racetrack is your all access pass to see the beauty of the track under the glow of the famous Twin Spires. Take a stroll through the courtyard, paddock, grandstand, Millionaire's Row, the fine dining rooms & stop on the Balcony next to the iconic Twin Spires overlooking the track. Hear the stories of great adventure on the track including Shoemaker’s 1957 misjudging the Finish Line, the 1933 Fighting Finish and the late 19th century dominance of African-American jockeys. Bring your camera for the views you will encounter from all points on this tour! Visiting in October? Don't miss the nighttime Horses & Haunts Tour! This tour must be purchased in advance! Arrive at the Barbaro Statue in front of the Museum at least fifteen minutes prior to the scheduled departure tour time as all tours leave promptly.